PRIVAIRA is a leader in Private Jet Charters to and from South Florida. Based in Boca Raton (BCT) with a fleet spread throughout Florida. With aircraft constantly in motion between South Florida and all major cities in the US and internationally, our private jet charter service can provide a variety of aircraft options to and from Florida on a moment’s notice. At Privaira we are dedicated to providing unparalleled safety standards while catering to the most demanding client needs. As a Part 135 operator we are a FAA Certified Air Carrier, we own and operate our own fleet of aircrafts. That means we have full operational control of each charter flight at all times. When you need to fly from or to South Florida, we will make your travel experience as effortless as possible. We will work with you to plan even the smallest details of your trip. From the in-flight catering to the ground transportation, to ensure that your flight is convenient and productive. By flying on a private jet, you can maximize your use of the travel time and work in-flight without fear of interruptions or distractions. Our South Florida private jet charter service gives you the flexibility you need to schedule flights at times that are convenient to you. Your time is valuable. Our jet charter service gives you control over your time. Choose the exclusive benefits and ultimate flexibility of Privaira from our Boca Raton airport. We are available 365 days a year, 24 hours a day to accommodate your South Florida travel needs. Miami International (MIA) is a major port of entry for the United States. As a result making it an extremely busy airport for commercial air traffic. To avoid scheduling conflicts and extended wait periods, many Florida jet charters land at one of the area’s less-busy airports. For example: Boca Raton Airport (BCT), Miami Executive Airport (TMB) or Fort Lauderdale Executive (FXE). Each of these private airports has customs facilities that cater to executive jet charters. As a result making them an attractive choice for private jet travelers flying to and from South Florida. 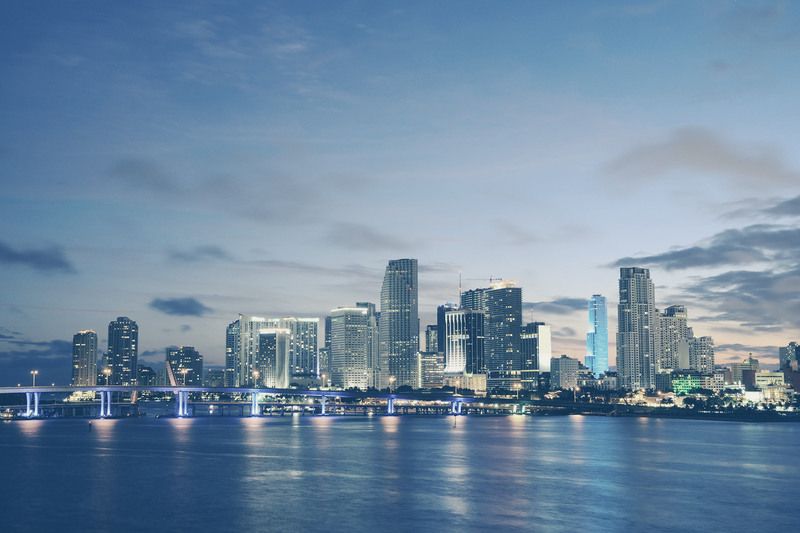 Private Jets from New York to Miami – One of our most popular US routes. Because multiple aircraft are moving up and down the east coast, charter flights from New York to South Florida are always available at fantastic prices. Private Jets from Los Angeles to Miami – Charter a jet from Los Angeles to Miami in style with Privaira. Private Jets of all kinds are available for flights. Charter Flights from South Florida to the Bahamas – Much of the Caribbean is just a short hop from South Florida. We have aircraft of all sizes available for flights so we can have you anywhere in the Bahamas in less than 90 minutes from our homebase in Boca Raton Airport. Jet Charter from Chicago – From the Windy City to the Sunshine State. Hop on one of our jets so you can be in sunny South Florida in as little as 2.5 hours.